Our development team at SalezShark has always made a primary effort to make the platform a solution that will be not only efficient and reliable, but also user-friendly and intuitive to our clients. We set out to design a quality Relationship Intelligence platform that will be a tool allowing you to forge long-lasting business relationships with your clients and partners. Now we can once again be proud of our work as SalezShark was revealed as the winner of the Experts’ Choice Award for 2016. The award was given to us by a team of review professionals from FinancesOnline, a popular business software review platform. 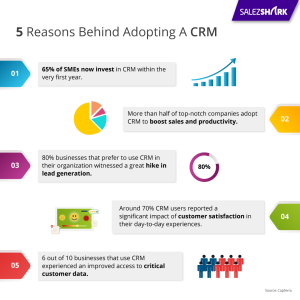 “SalezShark is not just limited to simple CRM functions; instead, the platform is capable of delivering the extra value that the sales professionals have been struggling to receive from other CRM software. As per the client feedbacks, the user can create and build his own Relationship Cloud, a network of relevant connections built through a powerful recommendation engine. A strong pool of 2.8 billion of global business contacts is further a great aid. The platform truly utilizes the strength of business relationships in combination with sales and marketing automation that go a long..long way into increased as well as repetitive sales” says Mr. Radek Shwick, the customer relationship Manager with FinanceOnline.com. Owing to business relationships, sales professionals can easily retain customers with much less efforts by understanding client needs at every step of the way with deep customer insights shared on SalezShark. In our SalezShark reviews, B2B experts and reviewers with huge experience in analyzing SaaS services carried out a detailed analysis of our software and all its functionalities. SalezShark was put through a range of problem scenarios in order to check how efficiently it can deal with the most typical issues that the users of new age CRMs can encounter today. FinancesOnline review team was really impressed with how effectively SalezShark is giving you the access to millions of records and data intelligence, further bestowing you with the knowledge and data required to filter, identify, and work on business opportunities. We are proud to say that, SalezShark was also announced as the winner of the Great User Experience Award for best CRM software listed in the FinancesOnline base of B2B software reviews. Explaining their reasons for the award, the review team stressed on how our system allows the user to significantly improve the productivity of sales and marketing teams with our mobile and web app. Even when you are on the go, you’ll have no problems with effectively managing leads and activities and you closing more sales. All in all, SalezShark was seen as a complete sales and marketing solution that every new age professional would want to incorporate in their business strategies.